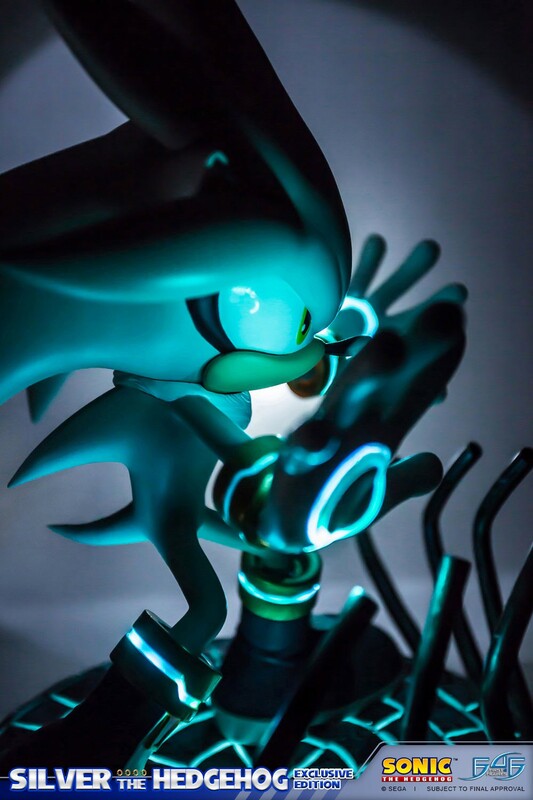 "I finally found him... the Iblis Trigger." 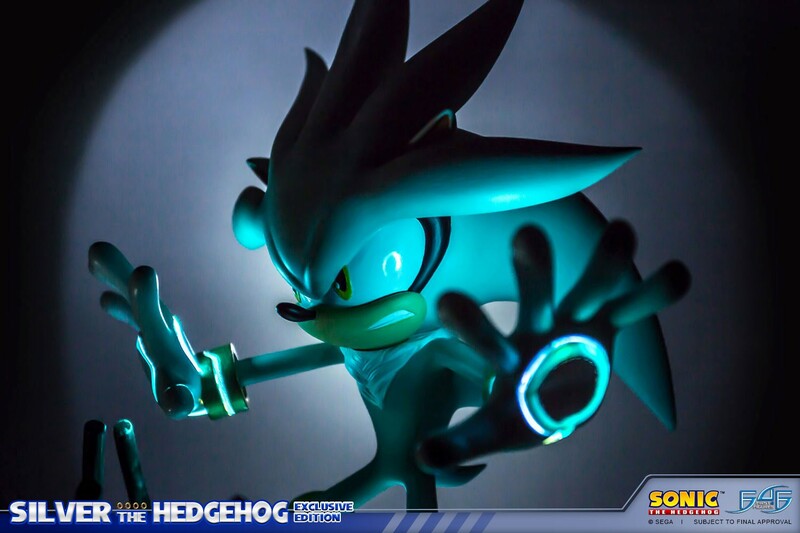 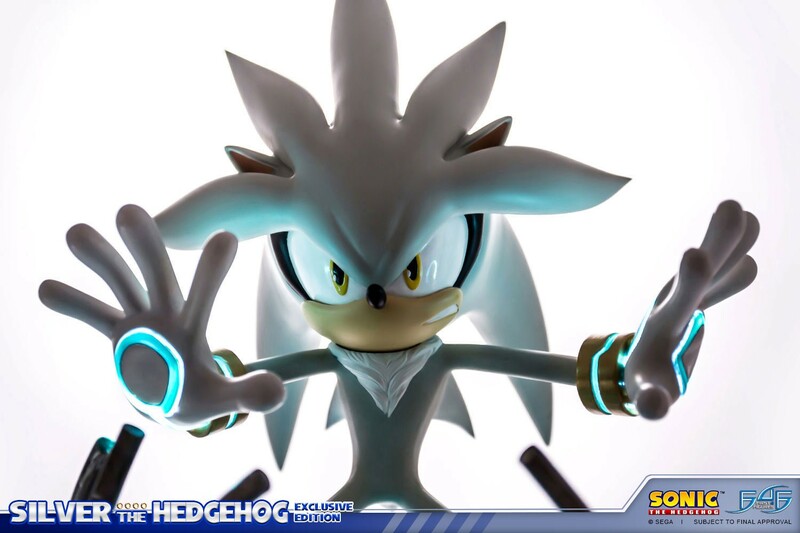 Silver is a white, telekinetic hedgehog from the distant future. 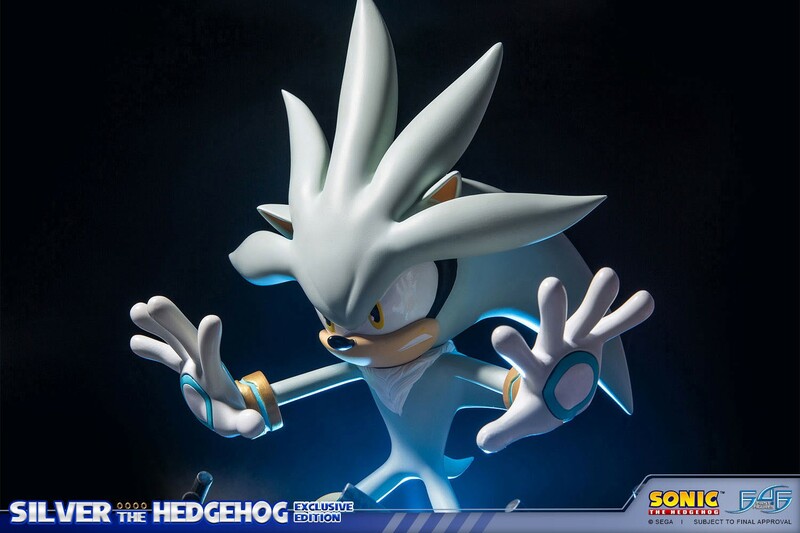 Silver's Psychokinesis gives him the distinct ability to levitate, and even manipulate his environment and objects around him using the power of his mind alone. 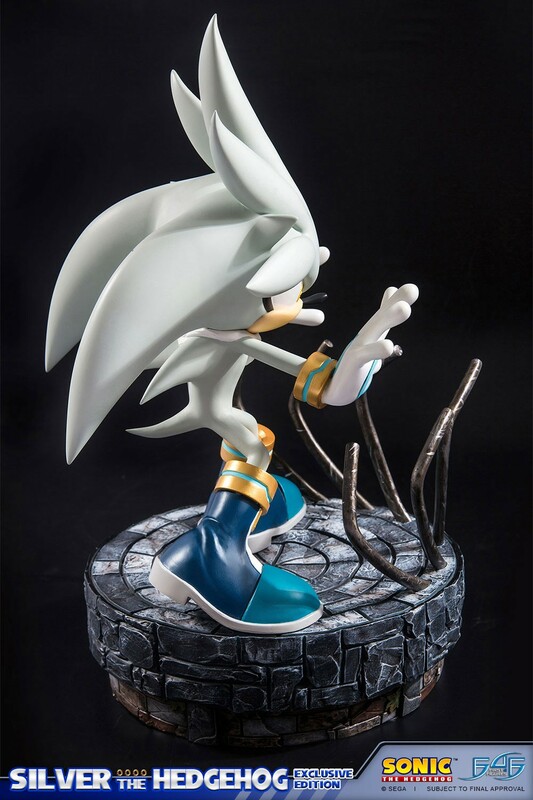 Silver's time is a world wrought with devastation, overwhelmed by fire and destruction. 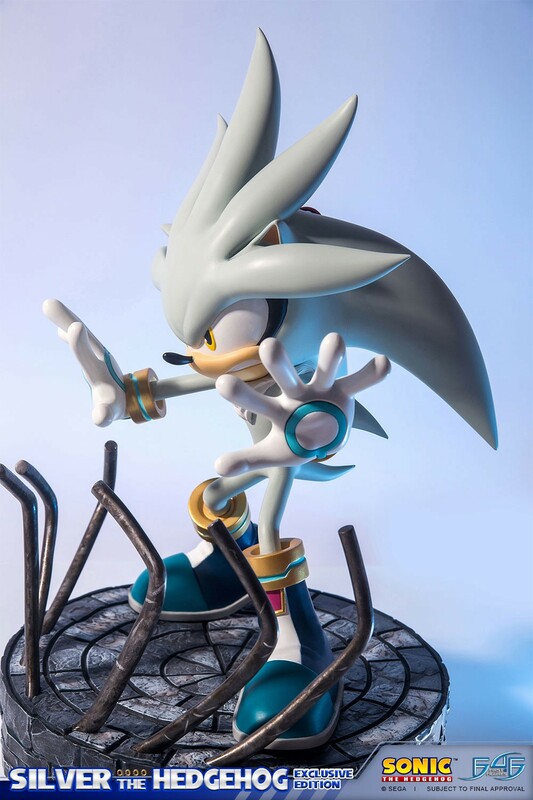 Desperate to save the world from this fate, Silver's solution is to travel back in time, in hopes of finding and stopping the trigger of the catastrophic chain of events, ultimately saving the future from certain ruin. 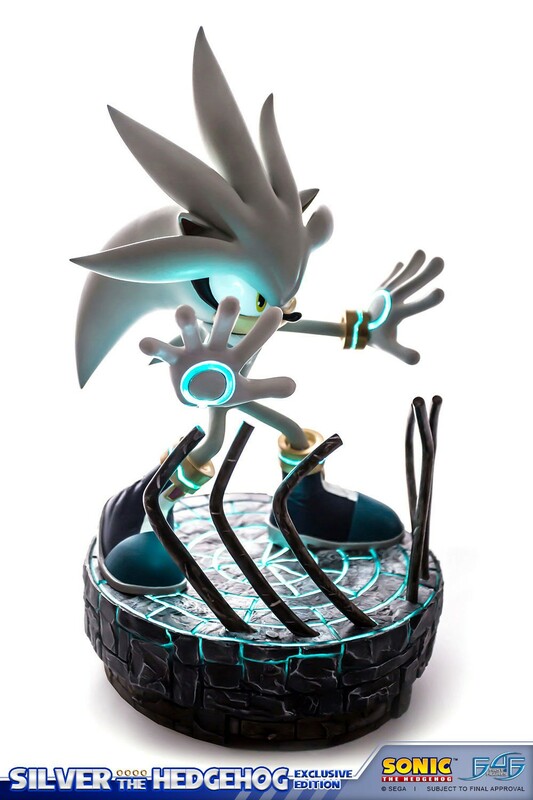 You will earn 1,425 F4F Reward Points for purchasing this product. 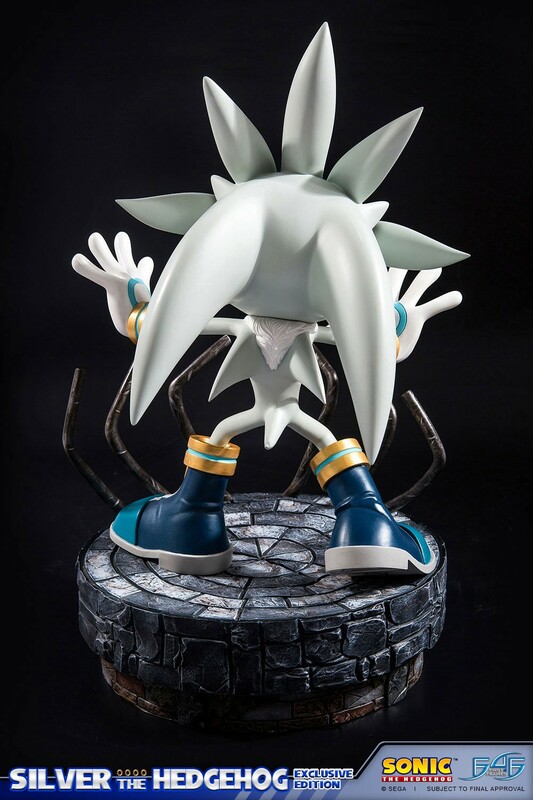 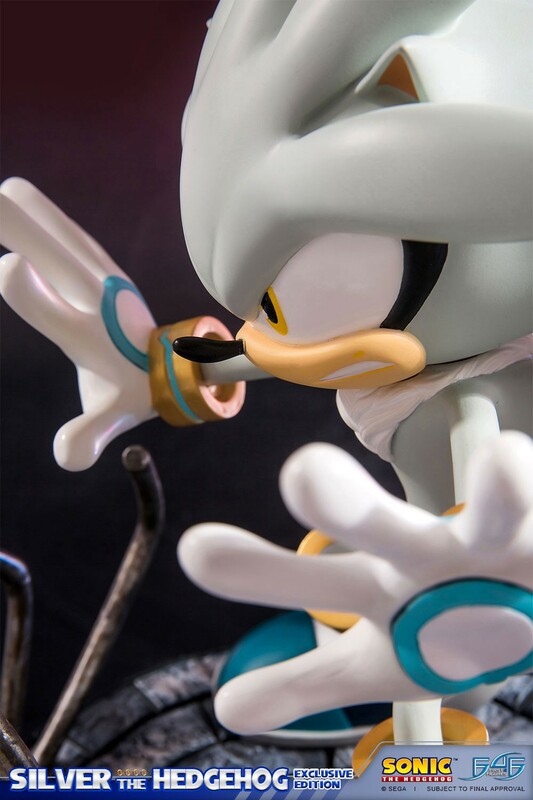 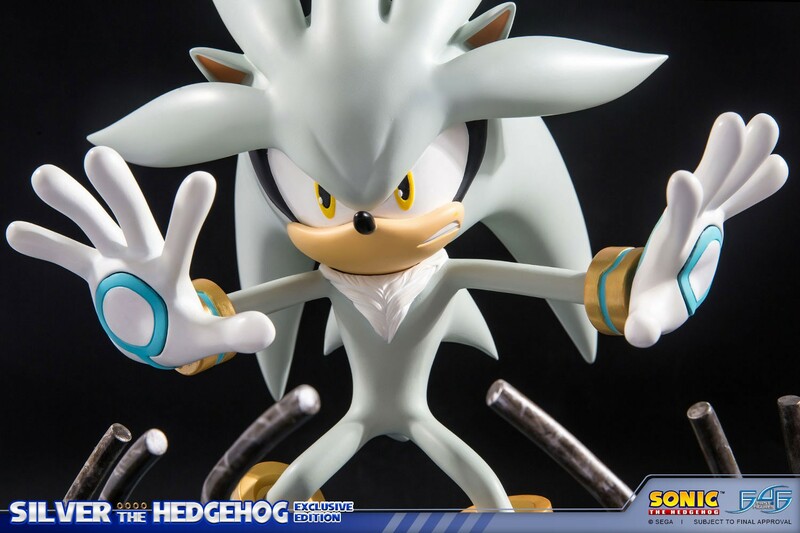 First 4 Figures is proud to present Silver the Hedgehog. 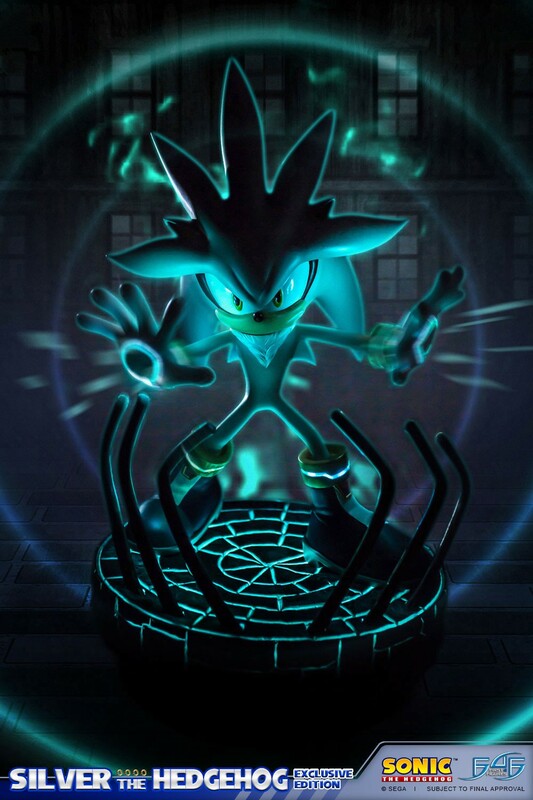 Presented in his appearance seen in Sonic the Hedgehog (2006) is ready to unleash his psychic abilities. 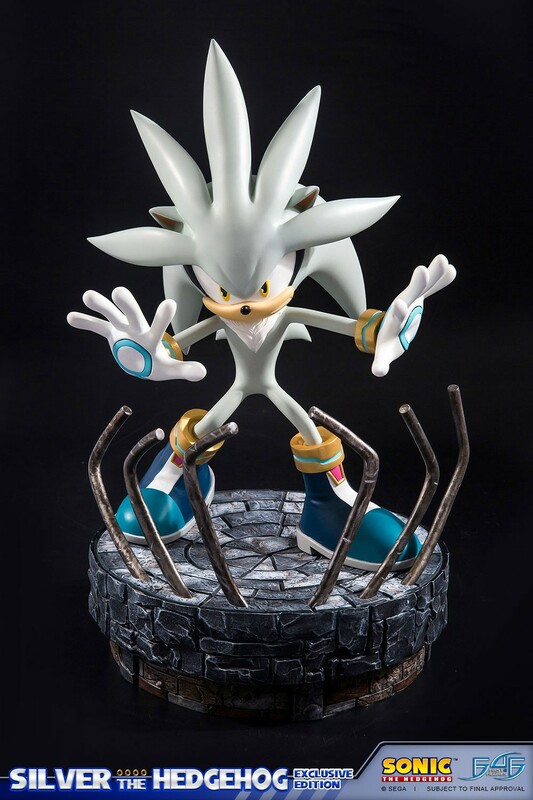 Being cast in high quality polystone, every detail on Silver has been captured perfectly, and is finished with a detailed hand-painted finish. 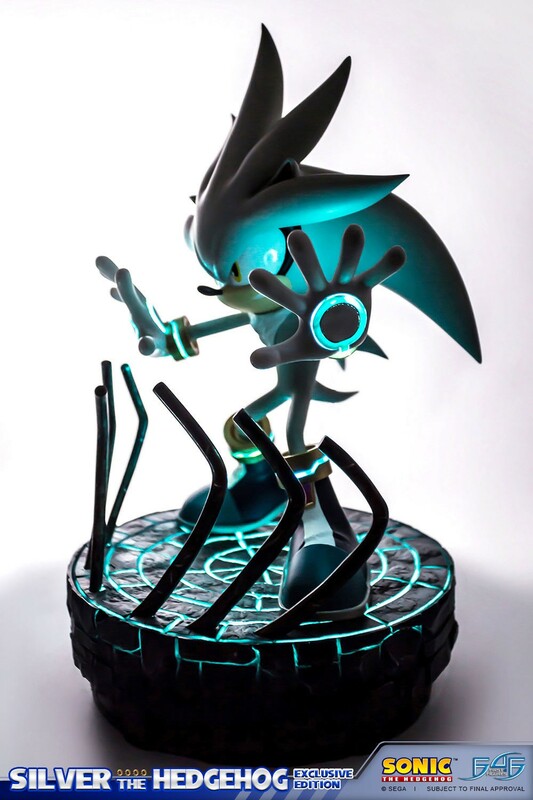 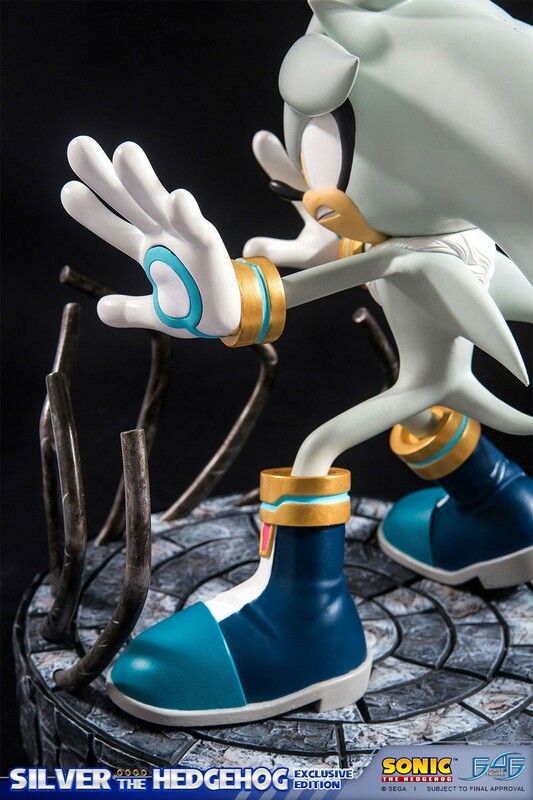 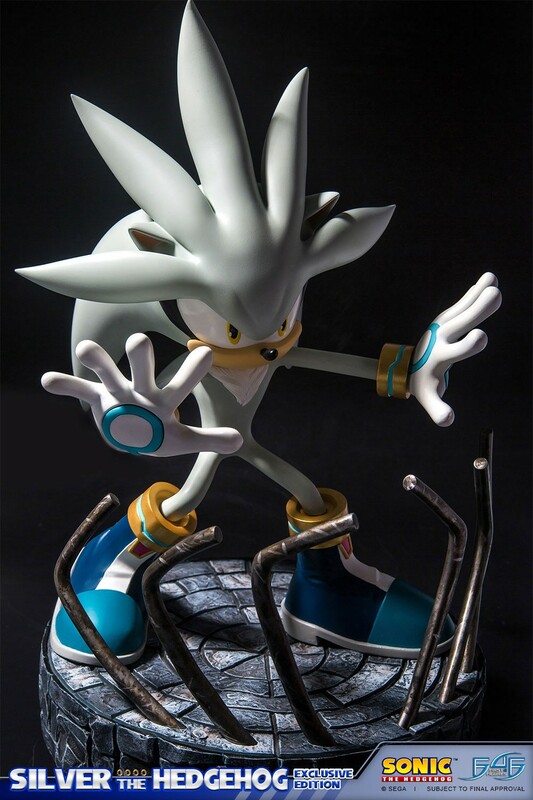 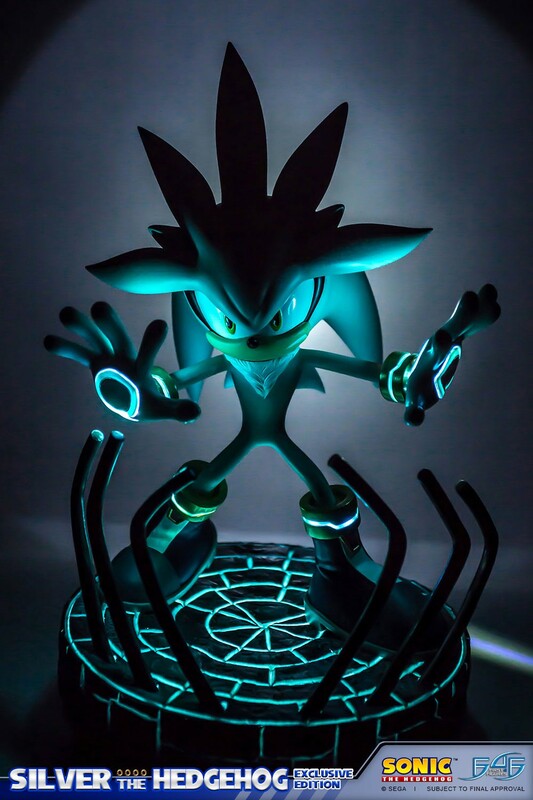 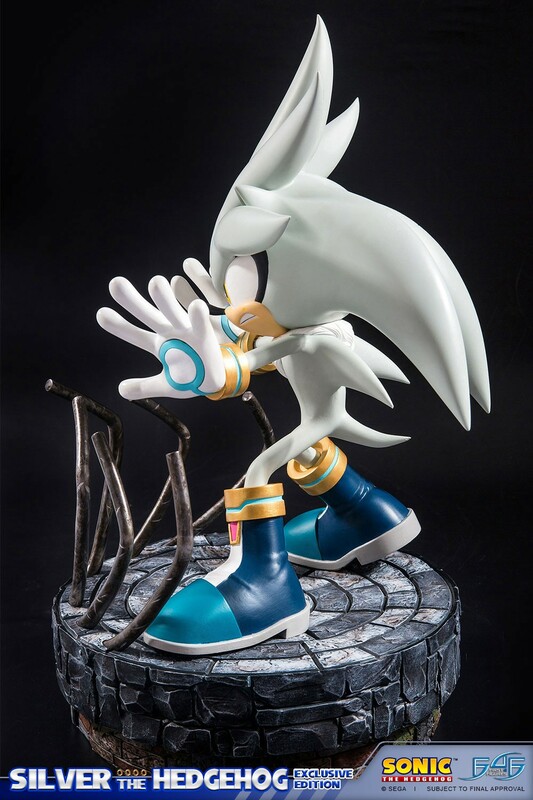 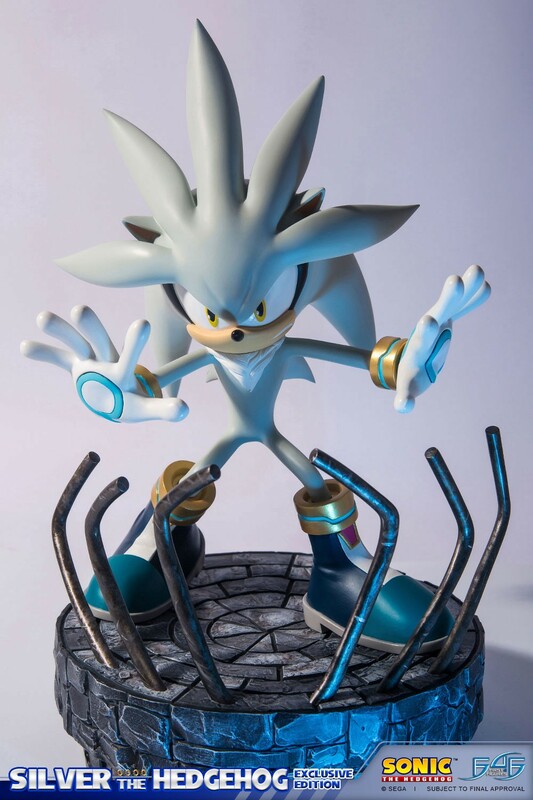 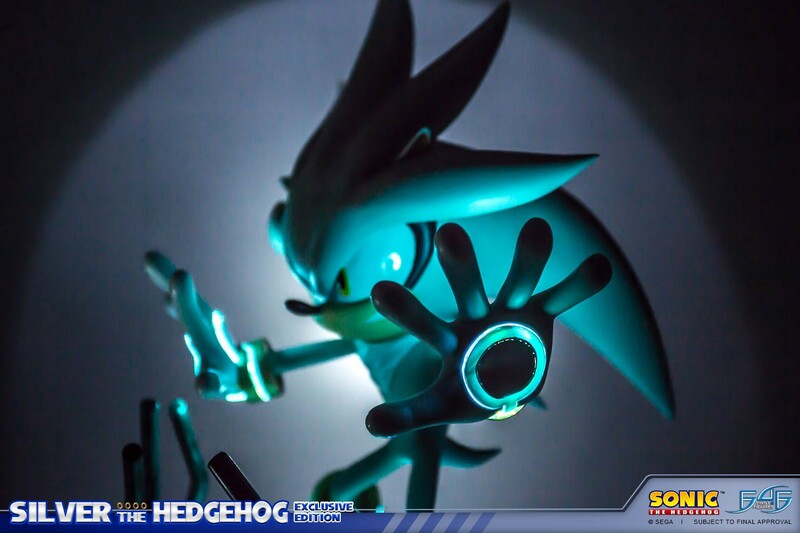 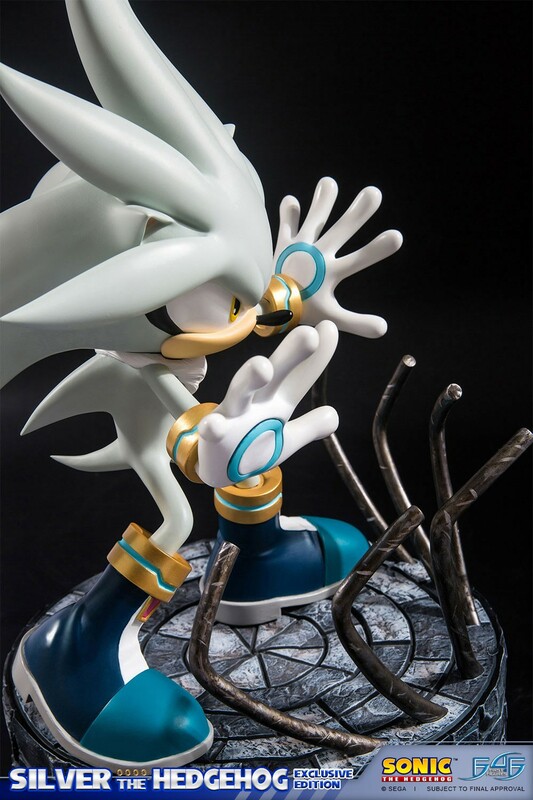 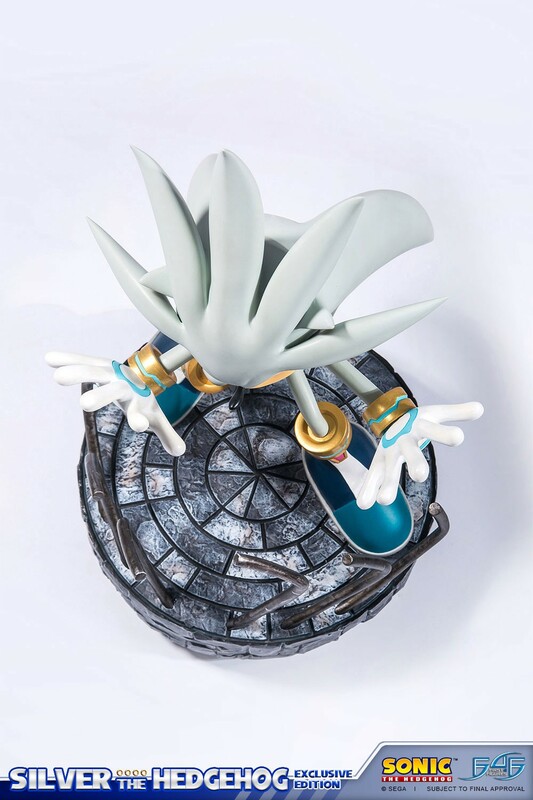 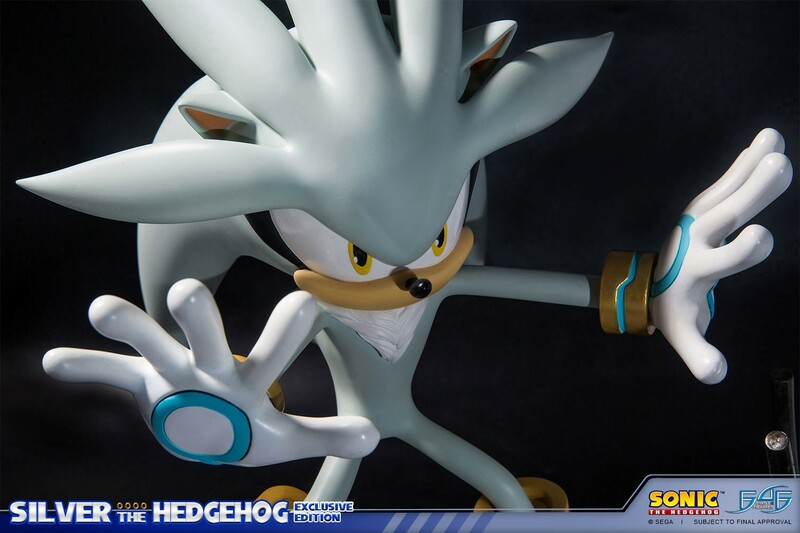 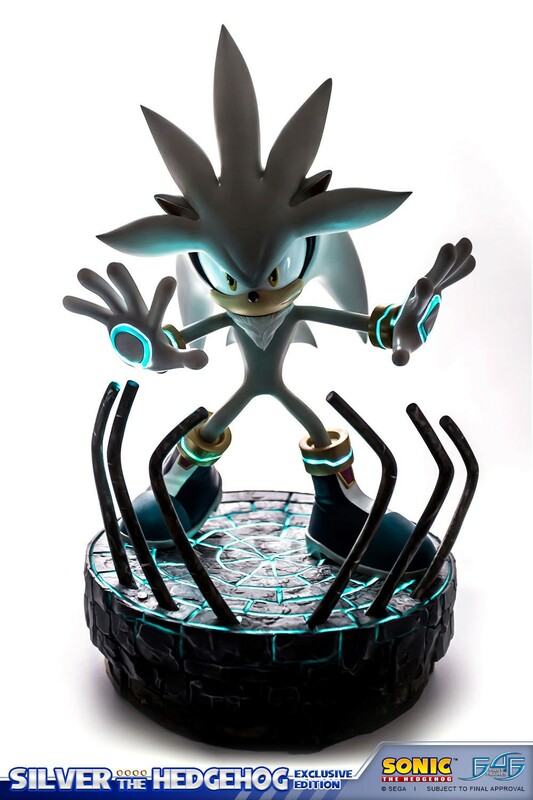 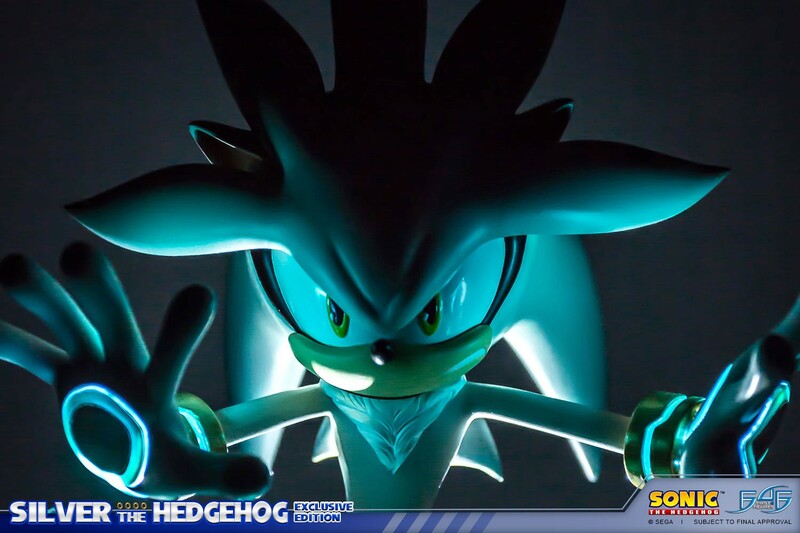 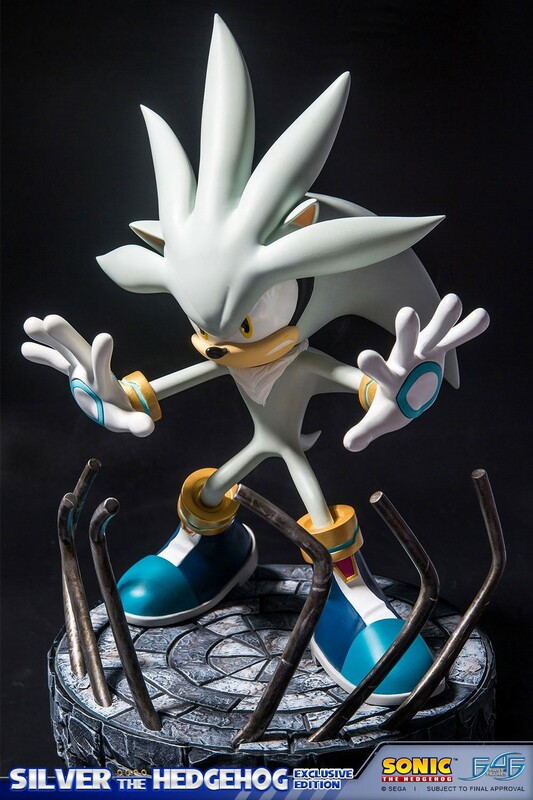 Silver stands at 17.5 inches tall from the tip of his hair to the base, making for a simply stunning display centerpiece for any Silver the Hedgehog fan. 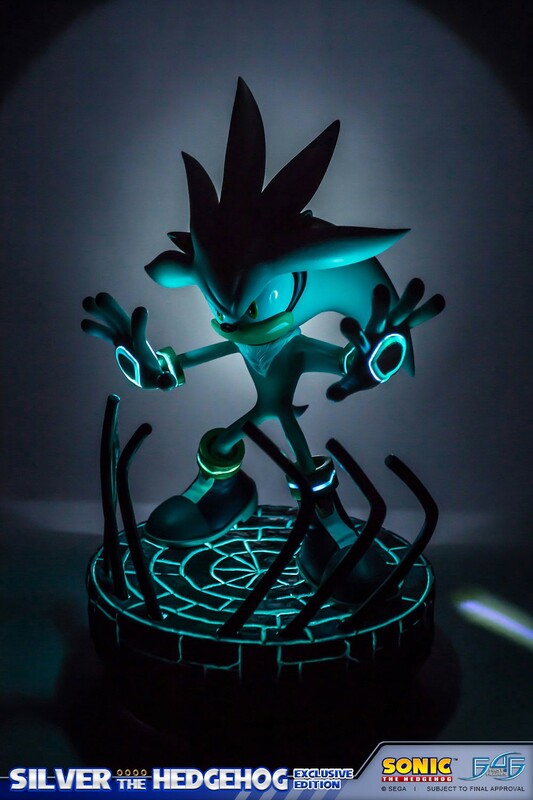 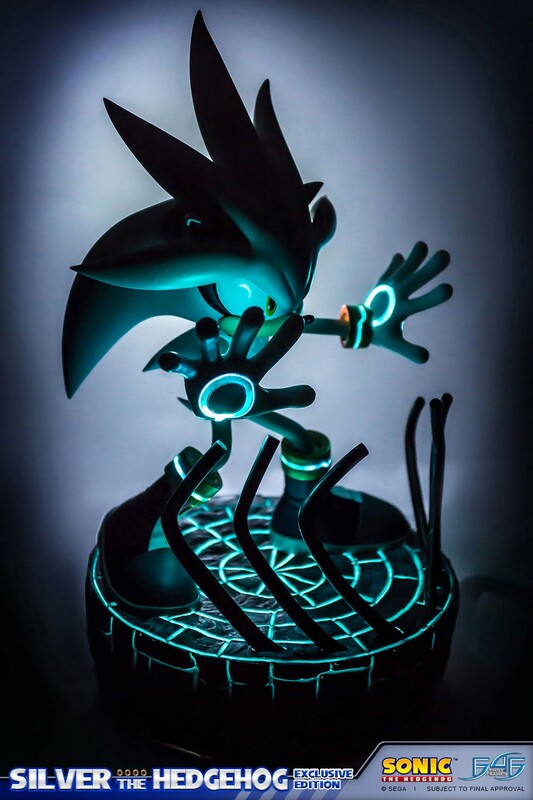 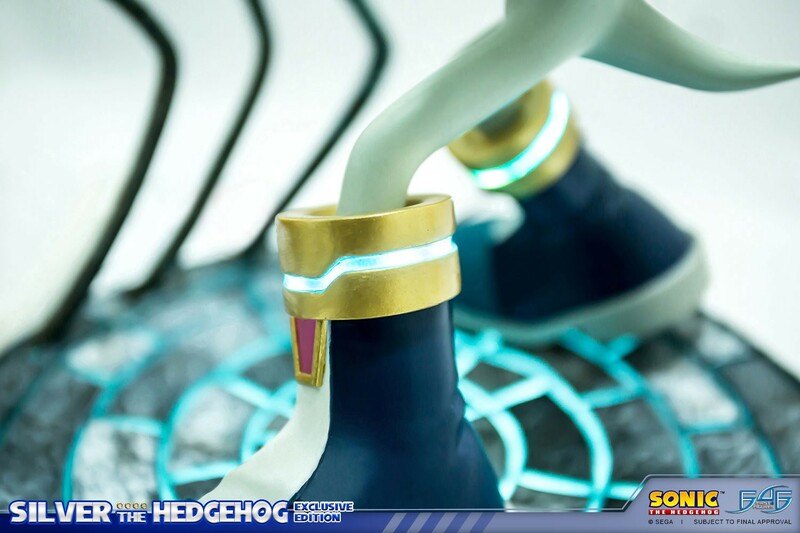 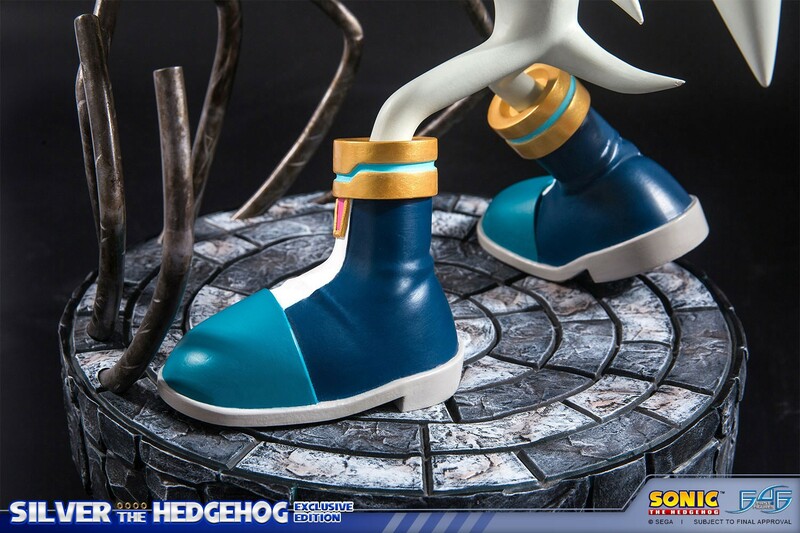 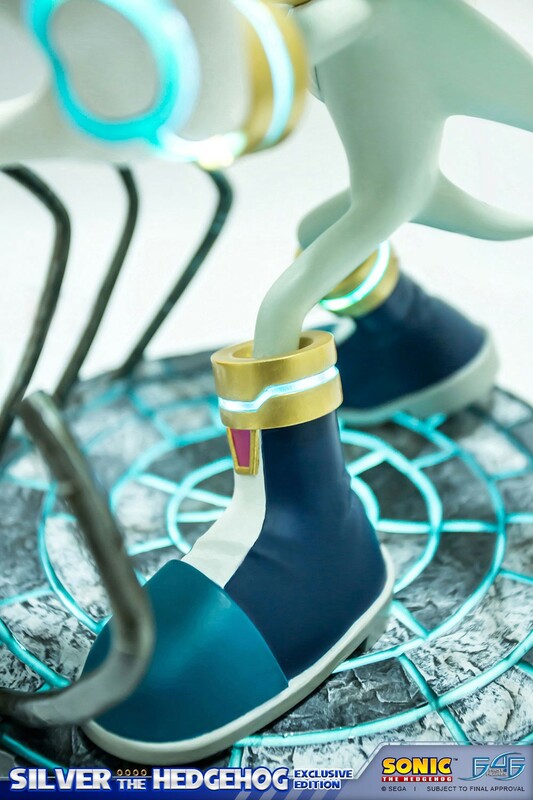 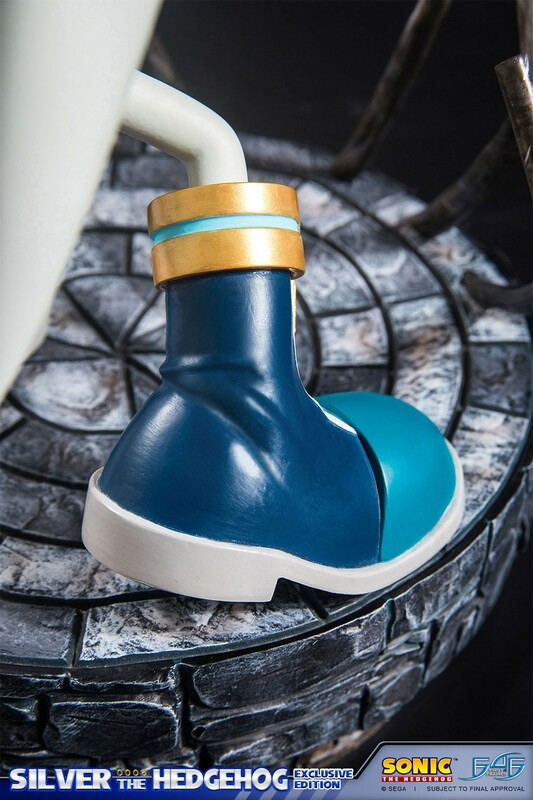 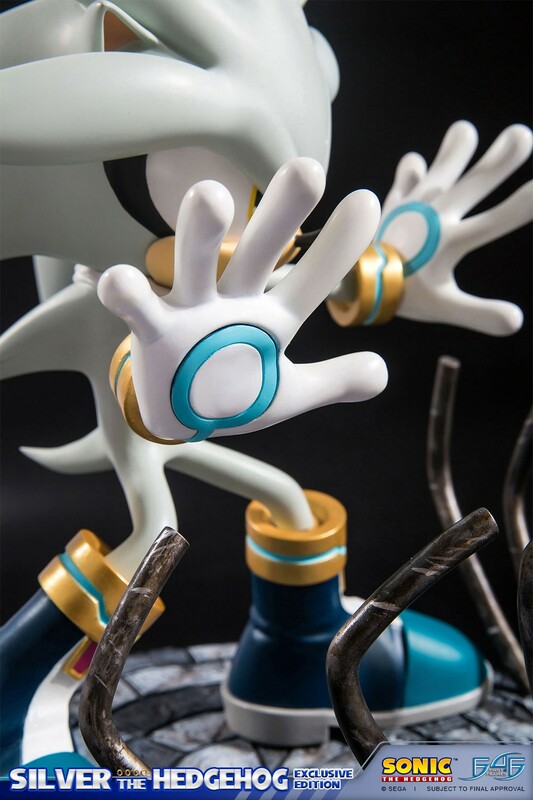 Comes in deluxe full-color packaging with molded foam interiors, and an authenticity card that allows you to register your purchase with First 4 Figures online, thus ensuring your product is genuine and allowing you to secure the same numberfor future statues in the Sonic the Hedgehog Modern line. 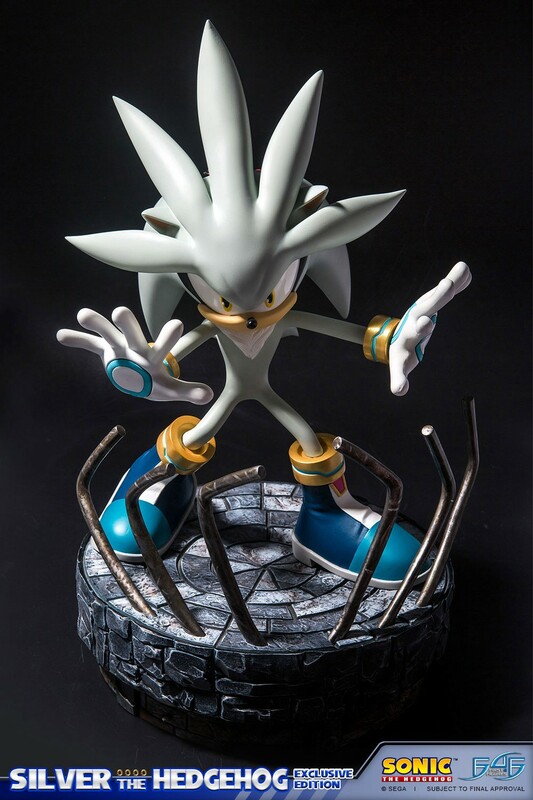 This is the exclusive edition of Silver the Hedgehog where LED's are included in the hands, bracelets, boots AND the base truly bringing the entire piece to life. 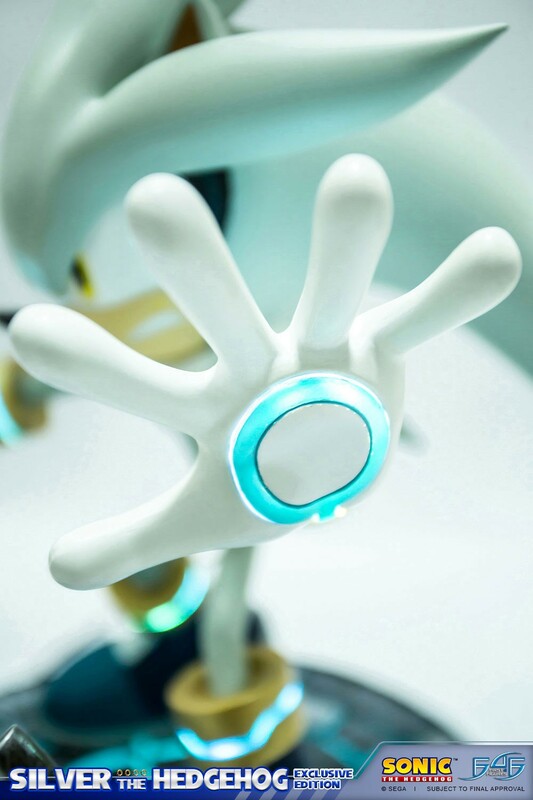 Limited Edition number will be set after 2 weeks (7th March 2017).